Authentic Native American four directions dreamcatcher. Made with satin ribbons, buffalo bone and wood beads. 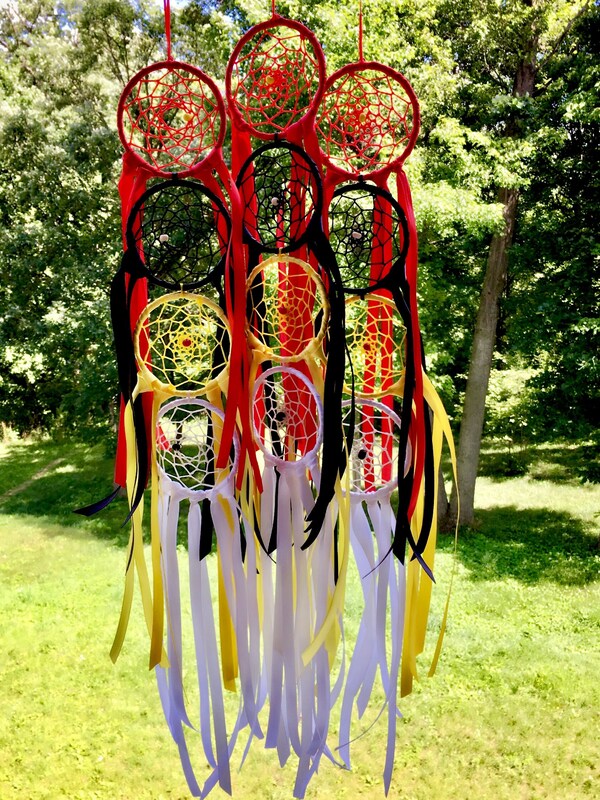 This listing is for one 4 piece dreamcatcher. 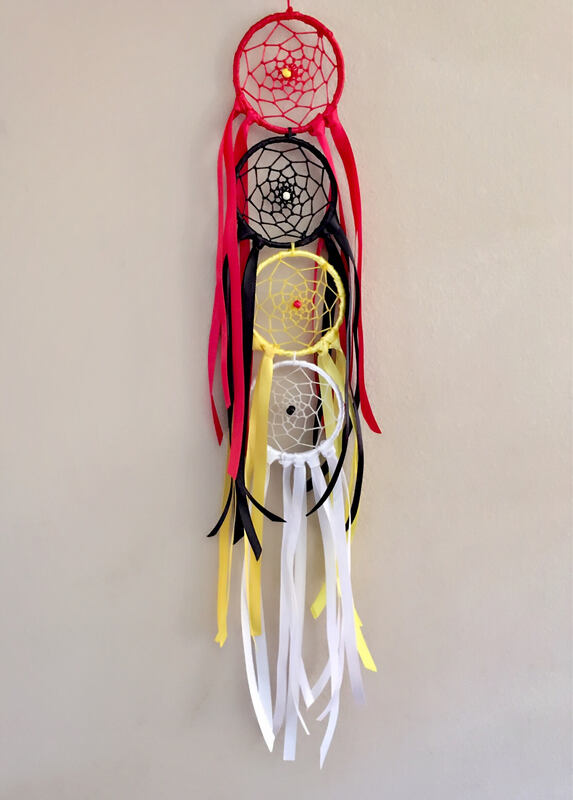 Dimensions are approximately 4"x4" for each dreamcatcher with a total length of 24". Handmade by a member of the Cheyenne River Sioux Tribe. This item is sage blessed with a lakota prayer. Lovely. Picture does not do it justice. gorgeous, I feel honored to have and use this.